ELEMENTS is a world full of energy, colour and magical spaces. With its curved structures, it is a break from the ordinary - one that is bound to stretch the imagination of children. 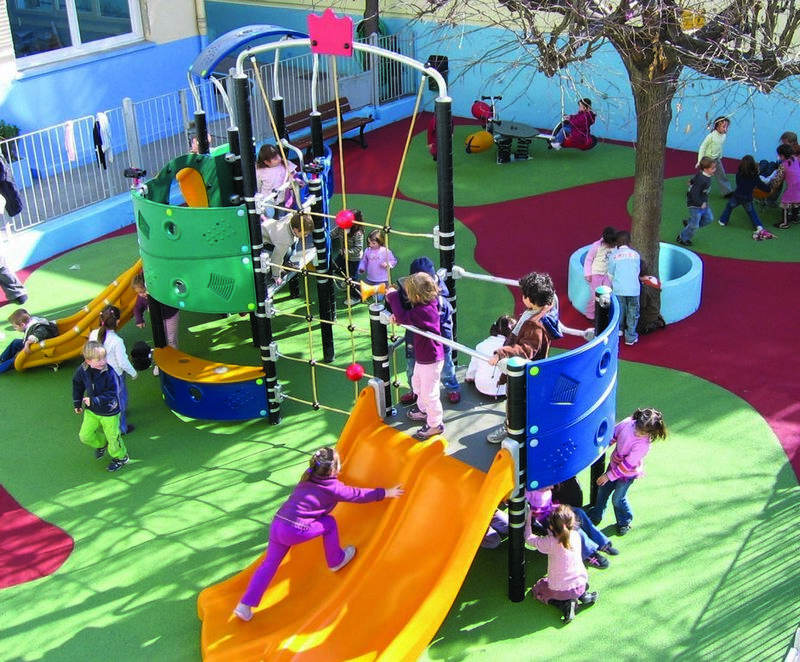 The innovative use of materials, vivid colours, the potential for personal design, and a broad range of unique and traditional play activities all add movement to the playground. The ELEMENTS colour concept is designed to catch the eye, offer clarity and provide an immediate contrast. Based on popular themes, the structures offer a large number of predefined configurations and a broad variety of features, including curved slides, double slides, nets, hiding places and more. The springers and seesaws are fun and also stimulate the vestibular sense and promote balancing skills. 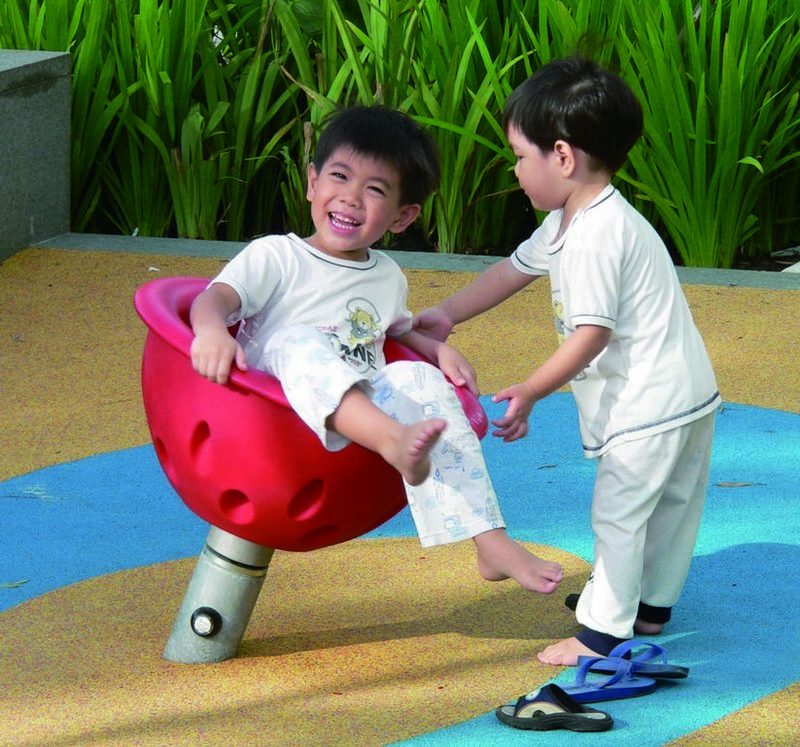 Like all KOMPAN play systems, ELEMENTS is inclusive. 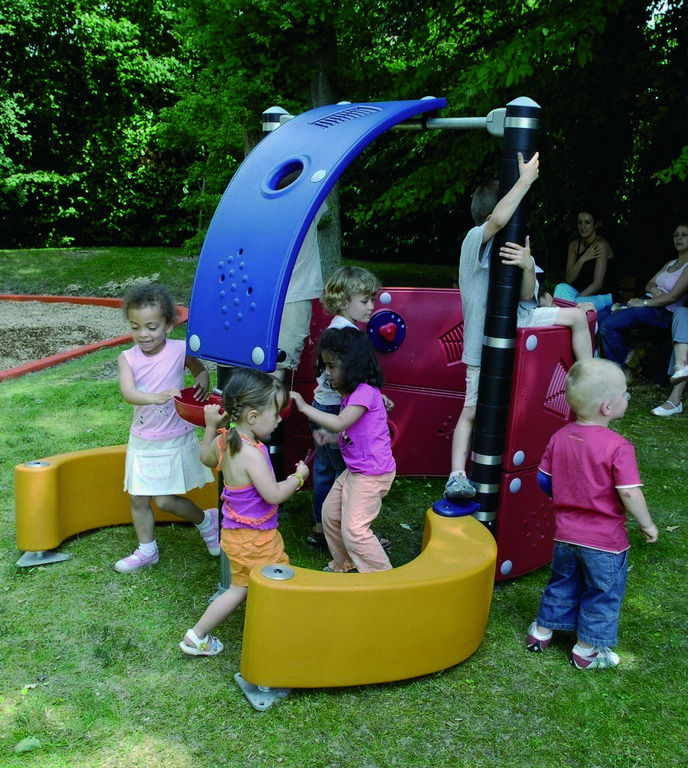 Based on our experience and expertise in children with disabilities and our involvement in creating the ADA standard, the ELEMENTS play equipment facilitates the inclusion of children with special needs without confining their movement to specific areas of the playground. 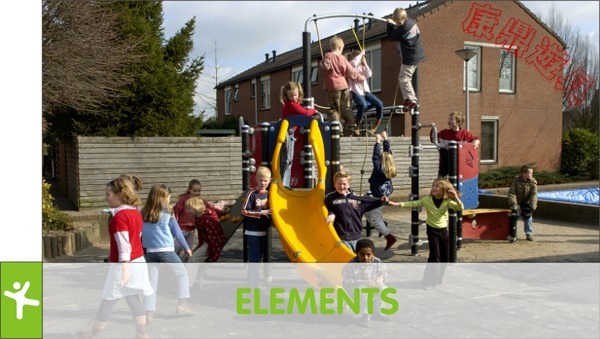 ELEMENTS is made of highly resilient and environmentally safe materials for high durability and low maintenance.